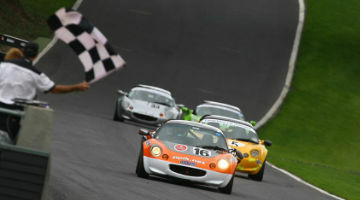 The Elise Trophy was the first series to be launched in conjunction with MotorSport Vision Racing, and its inaugural race took place at Brands Hatch on Saturday 24th March 2007. The Elise Trophy was awarded championship status at the end of the 2013 season. During its early years the Elise Trophy was arguably the highest profile club race series in the UK with it supporting numerous top class events including DTM, World Touring Cars and A1GP, while the championship's own annual event ‘The Lotus Festival’ was even supported by the Formula 1 team of the day with Heikki Kovalainen and Jarno Trulli both driving classic Lotus F1 cars. Other guest drivers have included the world's fastest man – Wing Commander Andy Green OBE, BBC1 F1 Presenter Jack Humphreys and ex-F1 Lotus racer Martin Donnelly who returned to a Lotus race car in the Elise Trophy back in 2007 and has competed in numerous races since. Even MSVR's very own Motorsport Events Manager David Willey has featured on the podium! 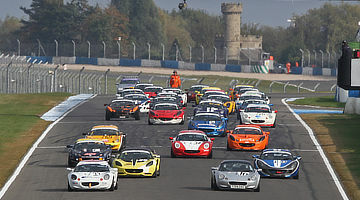 The Elise Trophy grew from Lotus on Track, the UK's largest track day club. 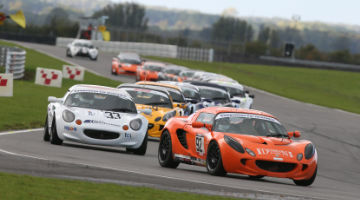 The Lotus on Track Racing Drivers Club (LoTRDC) was formed to create a race series for Lotus Elise owners, and aims to carry the track day principles to the starting grid. LoTRDC now runs the FIA International Series – Lotus Cup Europe. 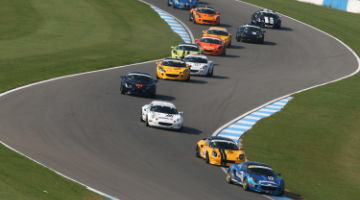 From the 2019 season MotorSport Vision Racing will run the MSVR Elise Trophy promising to provide a safe, friendly, fair and financially viable series for those wishing to progress from track days into racing. Additionally, it has been confirmed that Road Race Rally Engineering will be the official power testers, and the Avon ZZR will be the control tyre for 2019 - as they both are with Lotus Cup Europe. 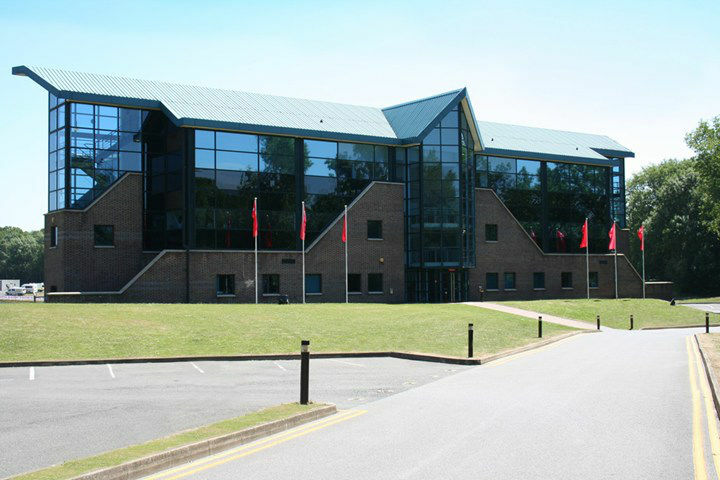 MSVR is considered one of the most important and respected racing organisations in the UK. The club prides itself on offering the highest levels of efficiency, value and enjoyment for its competitors. Are you a registered company offering team/support services? Please contact us to be added here! 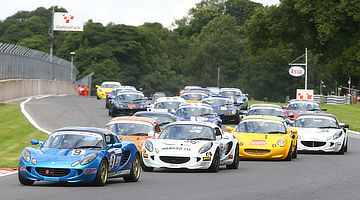 For many seasons the Elise Trophy was one of the highest profile club race series in the UK. Not only supporting major events with huge grids but also being recognised as the best championship in the UK by the likes of Autosport. Drivers were also recognised with champions receiving accolades such as National racing driver of the year and Club driver of the year. 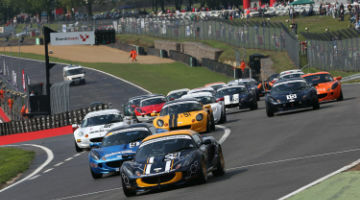 Over 100 drivers have taken to the grid for the first time in the Elise Trophy, many of whom are still racing a Lotus, while some have gone on to become GT or Touring Car drivers. The championship had one of the largest fan bases in UK motorsport for many years, thanks mainly to the Lotus communities support. Our intention is to rebuild those relationships so once again it receives that support it deserves as we race around the country. We have a number of championship sponsorship packages available for the 2019 season. MSVR Elise Trophy packages start at just £1000. However, packages can be tailored to suit specific requirements. Logo included on each side of ALL championship entered cars. Each sponsor is allocated a 24.5cm x 4cm slot on sill panels. Sponsors logo included on all pages of the www.msvrelisetrophy.com website. Sponsorship of a 2019 race day for the first 6 sponsors, which includes an advert in the programme for that event and a chance to promote services in the paddock. 4 x Entry tickets to all events. Logo on Elise Trophy sponsors page in all event programmes. Hyperlink provided on the teams/support and parts section of the website.